According to The Office of National Statistics (ONS), 19% of people in the UK suffer from some form of depression and anxiety. With this in mind, it is important that employers learn how to address and support employees who are experiencing some form of anxiety. This will involve developing a strategy which focusses on the long-term aspects of managing mental health in the workplace, effectively promoting wellbeing throughout the organisation. Whilst there have been positive movements in the discussion of mental health in the workplace, there is still a long way to go before people truly feel comfortable in having open communication about their mental health concerns. For this reason, it is imperative that managers take a proactive approach in building an open and honest culture surround health and wellbeing. This can be something as small as checking in with your employees to see how they are. Showing employees that you are available and open to discussing any issues they are facing can sometimes be half the battle. 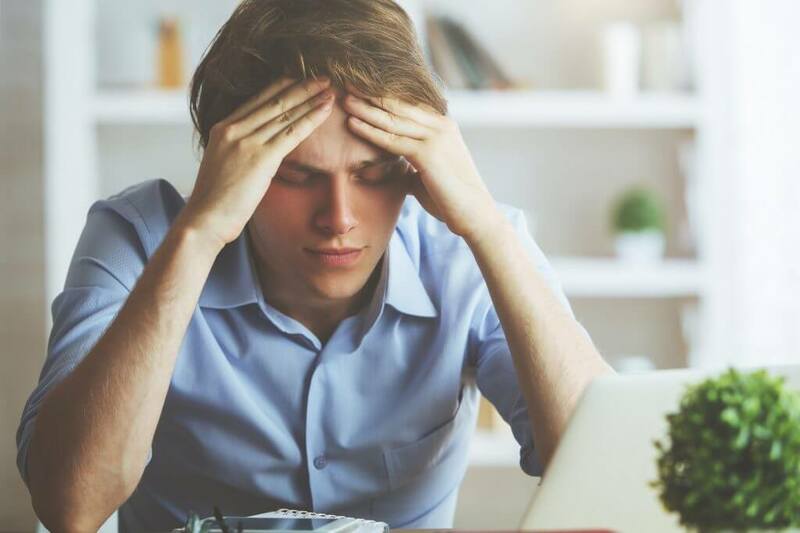 Both management and employees will benefit from educating themselves in the issues surrounding anxiety including how to spot the potential signs and how to approach someone who is experiencing anxiety. You might consider partnering with a local mental health charity and inviting their experts to come into the workplace to run workshops or hold talks about promoting positive mental health at work. Stress affects people in different ways, and for people experiencing anxiety it may mean that they are more susceptible to becoming stressed. For managers, it can be difficult balancing the challenges of running a business and maintaining an awareness of wellbeing of your employees. Not to mention that mental health is a sensitive subject and knowing how to deal with it effectively can be stressful in itself. If an employee is experiencing anxiety it is important to highlight any support that can be provided. This may include an EAP service, consisting of both a confidential telephone advice service manned by trained professionals or face-to-face counselling sessions. Offering an EAP service can often be beneficial, particularly to those who do not feel comfortable in talking to their managers, providing extra reassurance and support during difficult or stressful periods. Making small adjustments within the workplace can also help employees experiencing anxiety. For example, you could consider splitting up their lunch breaks, to give them the opportunity to take time out when they are feeling pressurised. Additionally, people with anxiety may find it difficult to prioritise and manage their workloads, in which case, managers should step in and provide extra support. This could be achieved through regular one-to-one meetings to assess how they are coping with their levels of work, or assigning them an extra pair of hands in times of increased pressure. Finally, employers may consider offering flexible working, which may include the option to occasionally work from home. Being flexible will also come into to play with regards to allowing employees to take time off a short notice for doctors or counselling appointments. Regardless of the approach you take, it is important to ensure that any measures you put in place are constantly reviewed to determine whether they are working or whether they need modifying. Remember, people experiencing anxiety or any other mental health difficulty are more than capable of being valuable contributors in the workplace. By building an open culture surrounding mental health you are not only facilitating a more inclusive working environment, but also working to retain valuable employees to grow your business.